Co-Owner of The ClayDen, Licy Clayden has been producing ceramics for over 30 years. Her work is closely linked to nature with a specific interest in land erosion and the sea. 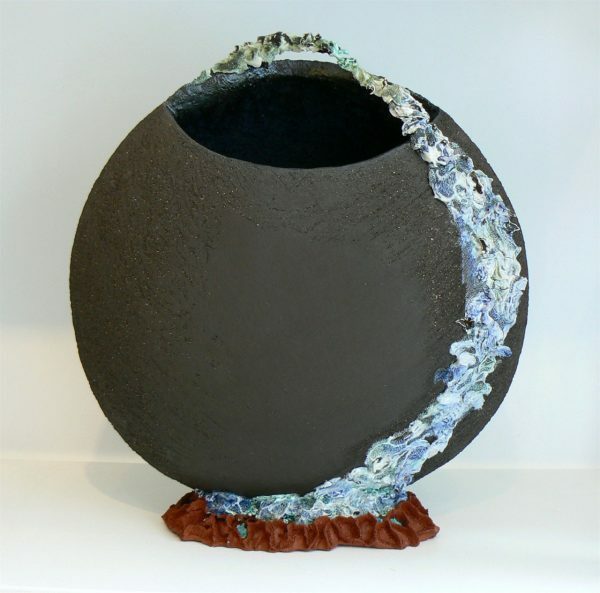 She mainly works in black stoneware and porcelain which is fused together, an accomplished technique due to the different shrinkage of each clay as it dries. She enjoys working with contrasts and textures which are reminiscent of coral and bone. Oxides and glazes are used to enhance the surface rather than hide it. All pieces are handbuilt, commissions are undertaken but because each piece is individually made no two pieces will be exactly the same.